The first Chinnor Thanks Week was held from the 15th – 21st October. Being thankful for what we have and supporting those who don’t have or can’t. Two ‘figures’ sat on a bench in the garden of Chinnor Community Church, High Street wore ‘thank you’ signs which is what we want to convey to everyone who participated in some way towards such a successful event. Thank you to the young people who attend FN@7 (Friday Night at 7.00) at Chinnor Community Church who created the ‘figures’. They certainly were eye catching and found their way onto social media. The gifts were overwhelming. 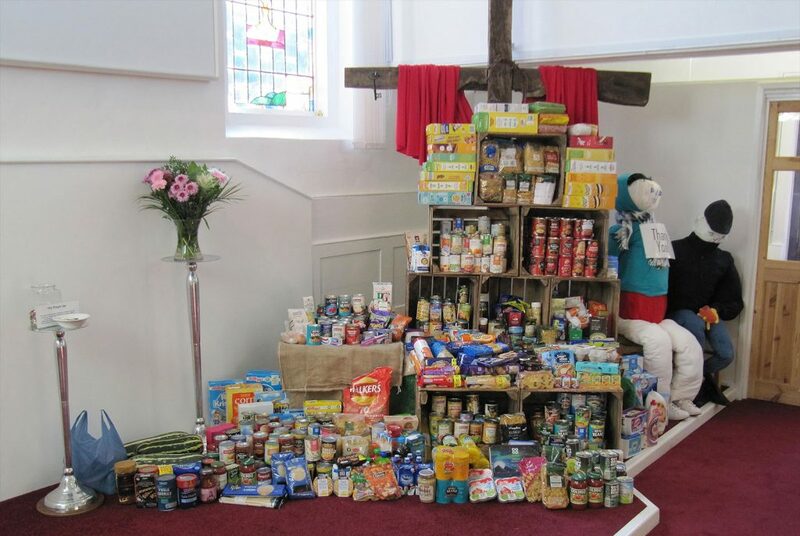 A huge THANK YOU to those who walked the High Street, visited the shops and then put the purchases into the food bank box outside Chinnor Community Church. The lady who was passing in her car, slowed down, passed the gift to the person stood outside the church – thank you. Mums, dads and nannies pushing prams loaded with gifts, people on bicycles with gifts in the basket – thank you. The wonderful elderly lady who emptied all the tins from her stroller into the foodbank box – thank you. The anonymous givers – thank you. The dad and daughter who called at the church one dark evening – thank you and so many more of you – thank you. Your gifts (three car loads) have been shipped to Sharing Life Trust who are handling the distribution of all the food. You are all very generous and have helped to alleviate some of the hardship of numerous families in the locality particularly as Christmas approaches. Well done to everyone and again many thanks for your tremendous generosity. You have achieved something wonderful.